Along with the update of the iPad, and launching of the new iPad, Apple did release a little makeover to the operating system, where users can download the new iOS 5.1 update, which has got a few changes that one would see directly in the new iPad but the previous generation iPad and other iOS 5 devices would have to manually update their device to get the new iOS 5.1 functional. Go to Settings > General > Software update under the section About. 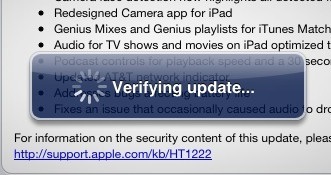 Clicking on Download and Install would open a list of terms and conditions which you need to agree for the iOS 5.1 update to happen. 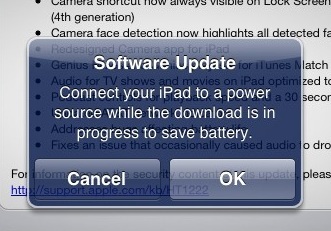 Once you agree to the terms and conditions, you would be asked to connect the iPad to a power source so that the update doesn’t stop in between because of low battery at times. Once you connect the iPad to the charger, or if there is a lot of battery then you may click on OK and see the download start. Once the download completes, it would verify the update before the update process actually finishes. Once the verification is done, the installation process would occur and for that the iPad would need to be restarted and it is done automatically after the message that shows for 10 seconds. You can install or choose to install later. 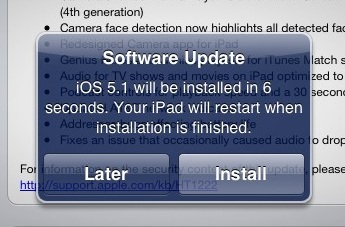 Once the installation happens and the iOS device is updated to the iOS 5.1, you would see the message when you go to the software update section once again. 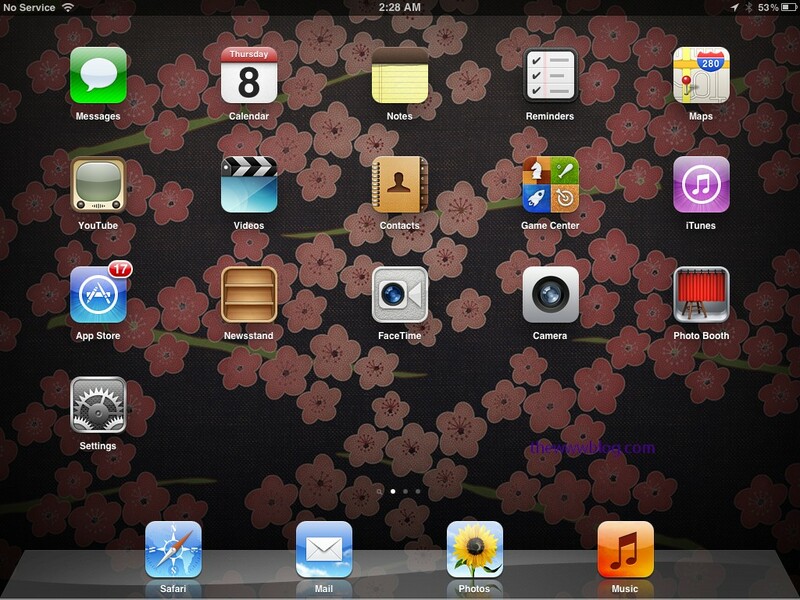 Check the iPad 2 vs new iPad comparison.